It’s a play that Harper had been attached to since its Pasadena Playhouse debut in 2008. She was nominated for a Tony Award when the show ran on Broadway in 2010. 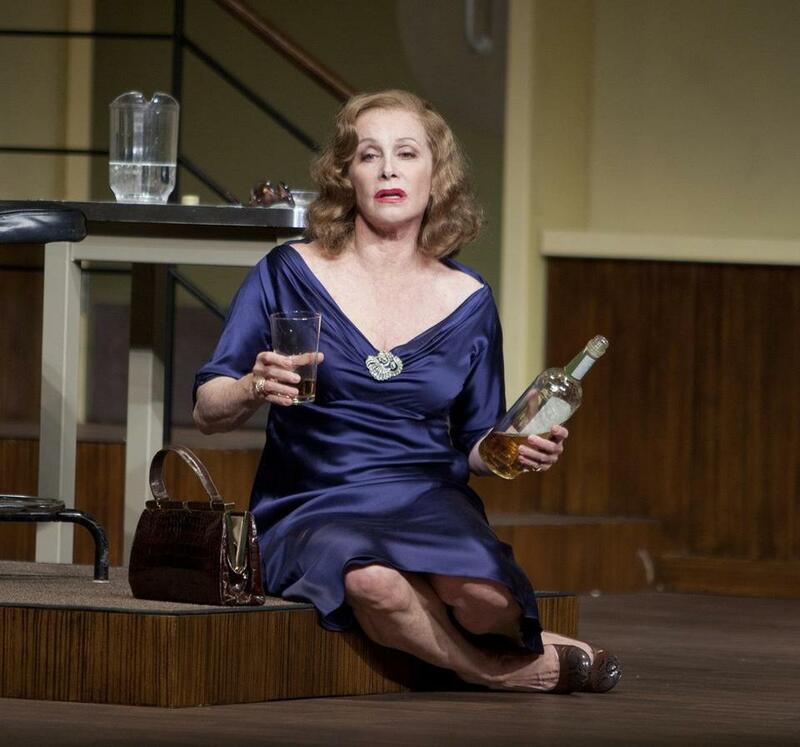 In the play, Harper portrayed actress Tallulah Bankhead in — to put it kindly — the twilight of her years. Based on an actual event, “Looped” centers on a single day when a booze-soaked, pill-ravaged Bankhead stumbled into a recording studio to dub a single line of dialogue into a 1965 film called “Die! Die! My Darling!” The session ran for hours. Given that Harper had played the brassy Bankhead for two productions, playwright Matthew Lombardo and director Rob Ruggiero expected that she would sail through rehearsals. Instead, they witnessed the beginnings of Harper’s struggle with cancer. By the end of the first week of rehearsals, Harper was slurring her speech. She was admitted to the hospital, and it became apparent that she would not be able to perform. In March, she revealed publicly that she had been diagnosed with a rare condition called leptomeningeal carcinomatosis, and that she was not expected to recover. Harper was the only actress to portray Bankhead throughout the history of “Looped,” and Lombardo was devastated not only that his friend was ill, but that he would have to continue the play’s national tour without her. Given that he had already signed contracts to take the play to theaters around the country — including the Cutler Majestic Theatre, where it runs Tuesday through May 5 — his only option was to recast the role. Enter Stefanie Powers. Yes, that Stefanie Powers. The actress, best known for her five-year run on the 1980s detectives series “Hart to Hart,” opposite Robert Wagner, may not seem like the most obvious choice to replace Harper. But Lombardo and Ruggiero thought otherwise. When they were developing the play at Pasadena Playhouse in 2008, Powers came in as a contender for the role. But, she said, there were still details to be worked out at the time she read the script, and she passed on the project. This is when Harper was hired. Shot in England, the movie was one of many 1960s camp films where actresses of a certain age were brought in to play either the victim or the villain. In “Die! Die! My Darling!,” Bankhead’s character, Mrs. Trefoile, holds Powers’s character, Patricia, captive in a decrepit country house. The movie was not exactly Bankhead’s finest work. Powers appears in the scene where Bankhead stumbles through her line. In fact, Powers’s character is the object of that line: “And so, Patricia, as I was telling you, that deluded rector has in literal effect closed the church to me. . .” This is the dialogue that later took Bankhead hours to record in a sound booth. There are further connections to Powers and “Looped.” As a teenager, Powers — a Hollywood native — was an usher for a play starring Bankhead. And then there is Harper. Powers said that she and Harper not only have shared a friendship, but were both operated on for the same kind of lung cancer by the same surgeon, within a week of one another. Despite the fact that she was brought in on short notice, Lombardo said Powers immediately picked up on the nuances of the character and has even suggested changes to the script to make her Bankhead more authentic. “She brings this thing with her that none of us could ever bring, this personal relationship,” Lombardo said. Lombardo got his hands on it.